"The Square is a sanctuary of trust and caring." VIFF 2017—Cannes Palme d'Or winner The Square is another illuminating yet bizarre social commentary comedy from Swedish filmmaker Ruben Östlund. Like Force Majeure, it sharply uses the affluent male archetype to breakdown certain societal structures within our collective privileged human nature. Starring Danish actor Claes Bang as a narcissistic Swedish art curator, Östlund further explores issues of toxic masculinity in interesting ways. However, the focus is primarily on how we treat other people inhumanely, particularly the disadvantaged. The film is essentially a loosely connected series of comically biting vignettes somewhat tied together by the through-line of an impending high-profile modern art museum opening after the abolition of the Swedish Monarchy. 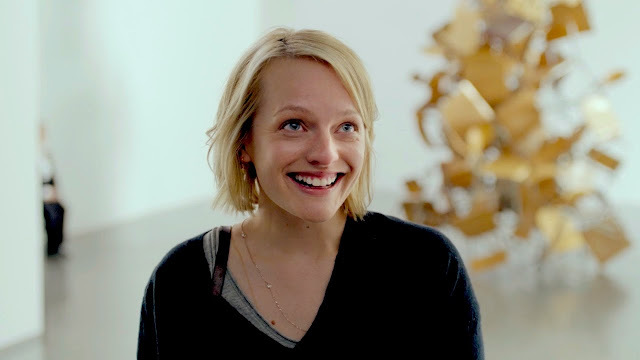 While primarily centred on Bang's protagonist character, Christian, fine actors like Elisabeth Moss and Dominic West show up to add certain unpredictable elements to the impressively absurd film. Moss as an appealing American journalist covering the museum and West as another loudmouth artist. Each of their scenes only heighten the sense of highly structured silliness to everything. Motion-capture actor Terry Notary has a particularly pivotal extended scene mimicking ape behaviour in possibly the craziest and most unnerving take on performance art put to film. Think of the most extreme version of awkward dinner theatre and you might never stop squirming. It challenges notions of progressive views in the face of liberal prejudice. Both unnerving and hysterical, Östlund's film is impressively whip smart in how it chooses to skewer and mock society in suitably thought-provoking ways. His composition and precision of scenes only intensify the sense of chilling and suspenseful hilarity. It's one of the more tense comedies you will ever experience. The Square is a another winning, sophisticated social commentary masquerading as a broad slapstick comedy despite its shaggy, less focused nature. The ambition of its themes reflects back on our own self-absorbed values and behaviour exquisitely. It pushes and pushes your conceptions of what art and humanity really are. The Square is screening at the 2017 Vancouver International Film Festival as part of the Panorama stream.